Zion's reaches out to the community with meals and hands-on ministry. Want to get involved? Join us! Need help? Contact us! Defiance County residents with proper ID may receive hygiene products and cleaning supplies donated by the members of the Zion's Lutheran Church. Everyone welcome! Free meal every Wednesday at 5 pm in Zion's Luther Hall. Bring your appetite! Donated by the Innkeepers, a ministry group of Zion's Lutheran Church. A special ministry of Zion's Lutheran Church outreach. Periodically throughout the year, we help pay for loads of laundry and offer laundry detergent to anyone . A nonprofit organization that helps families in the world’s poorest communities build the resilience they need to thrive. 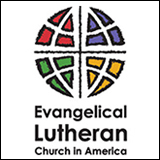 A global communion of 145 churches in the Lutheran tradition, representing over 74 million Christians in 98 countries. Brings God’s hope, healing and renewal to people whose lives have been disrupted by disasters in the United States and around the world. Dedicated to helping adults with intellectual and developmental disabilities live as they choose while providing the supports needed to help them fulfill their hopes and dreams. A faith based social service agency, assisting communities within Northwestern Ohio and Southeastern Michigan through a variety of services. Supporting people with intellectual and developmental disabilities in reaching their greatest level of independence in a caring community of respect, dignity, and partnership. Ravens Care is a Christian Ministry dedicated to meet needs in the community that are not being met by other agencies. Many of our assistance programs are in partnership with United Way of Defiance, OH. A collective Christian voice urging our nation’s decision makers to end hunger at home and abroad. By changing policies, programs, and conditions that allow hunger and poverty to persist, we provide help and opportunity at home and far beyond where we live.